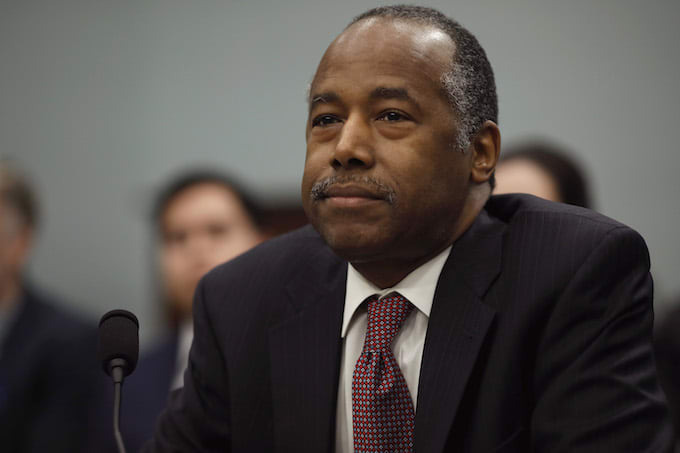 While testifying before the House Appropriations Committee about the infamous $31,000 dining room set, Secretary of HUD Ben Carson stayed awake long enough to blame the entire fiasco on his wife. Wow, I wonder what he would blame her for if he didn't love her? George L. Cook III African American Reports.